Hypnosis, a state of mind that resembles an altered state induced by the spoken word without the use of any drugs. We cannot not go into trance. Therefore once in trance you have to get out of it in order to be in the now. [Gk. Hypnos “sleep “] – Neurologically/physically , a state of deep nervous relaxation up to the extent of the person may not be able to respond adequately to stimuli from outside. Emotional / Mental, a state of mind that resembles an altered state induced by the spoken word without the use of any drugs. A state where one has freed himself from the burdens of the body. A state where one can make significant changes in the way one acts/behaves in the “real” world. Hypnosis and communication – It is easily noticeable in the way we act on the mere influence of words we utter to each other. After making the necessary rapport and checking it during our communication we are likely to go into a trance. A trance with or without eyes open. It is in the way we use hypnotic language patterns that we consciously or not-consciously make decisions based on what is being communicated. We trance ourselves into states that are that are not of the Now. In fact Stephen Wolinsky proclaims in his book Trances People Live that when one is not able to go in a trance. One is in trance and the thing to do is, yes .. get out of that trance. Step in the now, be in the now. This is especially the case when we encounter problems we cannot overcome. We keep on repeating ourselves. Not realizing we are in a rut, we tell ourselves the world is against us. Dahh, get out of that trance and what better way than doing it mindfully. Mindful observing – noticing/observing and observing/noticing – what is happening with your sensory perception faculties , you will find your neurology is releasing any habit you may have come to use/hold/grab in time of trouble. Letting go of these “security”-factors is the first step in learning to live in the Now. It is this observing we do manually when we muscle test. We now have a means to tell us what really is happening within our nervous system, because our muscles are neurologically wired into our Central Nervous System. And be not surprise to notice, that more times then not you are wrong in your assumptions of why things are happening to you. It is true – especially in hypnosis –, anything can heal anything … if it is appropriate. And our assumptions are not always to the point. 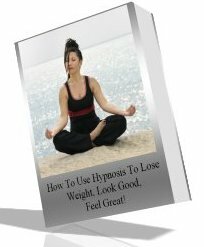 In hypnosis we are able to think our new behavior through, to test it later in real time.